From Sochi to Washington, the world is focused on winter sports and Elks from Lake Sammamish, Wash., Lodge No. 1843 are going for the gold! 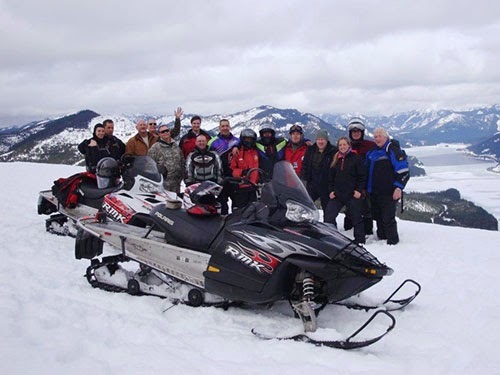 Using an Elks National Foundation Beacon Grant, the Lodge partnered with the Cascade Snow Drifters Snowmobile Club to take local Wounded Warrior veterans on a snowmobiling trip through the mountains. To warm up after the trip, Elks invited the vets to the Lodge for an evening of food and fellowship. Thanks to the Beacon Grant, the community is rooting for Team Elks! Don’t miss the opportunity to serve your community with $2,000! Beacon Grants, available to every Lodge, help Lodges like Lake Sammamish hold ongoing, Elks-led charitable projects. Don’t wait! Applications for 2013-14 Beacon Grants are due on March 31, 2014. For more information about Beacon Grants and to access the online application, visit www.elks/org/enf/community/BeaconGrants.cfm. Through Beacon Grants, the Elks National Foundation gives Lodges the opportunity to develop an ongoing, charitable, Elks-driven community project. These $2,000 grants are available to all Lodges. 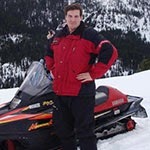 To find out more about Beacon Grants and the Community Investments Program, visit www.elks.org/enf/community.